Frank Lucas is one of the most notorious gangsters and drug dealers of all time. He was the king of crime without a doubt for nearly a decade. Credited with breaking the Italian Mafia's monopoly of drugs in New York after Bumpy Johnson's death Frank has become infamous in the histories of crime. He did all this by bringing his drugs in from Thailand, some even state he did so by stuffing the corpses of US Armed Forces members, although he disputes this. 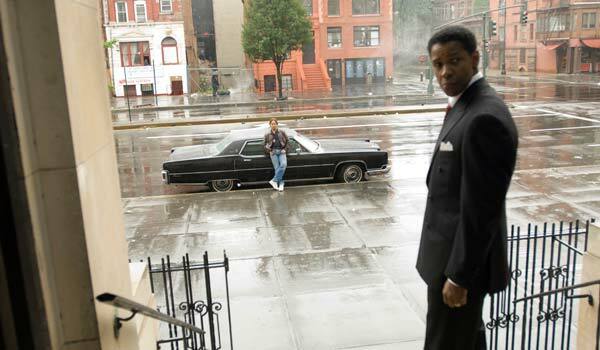 He was forever immortalized in the film American Gangster. The film picks up in 1968 after the death of Bumpy Johnson. Frank Lucas begins importing drugs from Vietnam so that he can sell it wholesale to dealers throughout New York. Frank keeps a low profile and invites only his family to be his most trusted associates. He instills in them the same thing, "the loudest one in the room is the weakest one in the room." However, Frank violates his own rule when he wears an expensive fur coat, a gift from his wife Eva, to a Muhammad Ali fight.This brings him under investigation. Despite laying low Frank runs into conflict with the Italian Mafia again. Nicky Barnes, a young upstart who is selling a diluted version of Frank's product and crooked NYPD officer extorting him for money. When Saigon falls, Frank has to call truces and work with other crime families. Eventually his cousin is caught murdering a woman, something else Frank told them not to do. With his cousin now a police informant, his supply running dry and feuds continuing, things start to crumble around Frank. He attempts to keep lying to his mother but she already had it figured out. Despite that, he keeps upping the odds and breaking his own rules. Eventually Frank is arrested and in the process takes 3/4 of the DEA, multiple rivals and many foot soldiers to jail with him. American Gangster doens't have some great truth to tell. It doesn't aim to teach you anything or give you some great sadness. Instead it's a simple mafia film. No different from Godfather or Goodfellas. The truth was highly embellished for the film. Despite that people rushed to theaters to see it int eh same way they rushed to see Scarface. It was just amazing for a lot of people to see a gangster film starring black characters that wasn't just shootout after shootout with heavy slang. Despite being a predominately black cast with the likes of Denzel Washington, Cuba Gooding Jr. RZA, Chiwetel Ejiofor, T.I. and Common it wasn't as black as they wanted. Behind the scenes Denzel spent days pleading for Jay Z, who grew up during Frnak's reign to produce the soundtrack or at least have some part in it. Producer Brian Grazer repeatedly shot him down claiming they wanted a 70s themed soundtrack and there wasn't anything Jay could do to help. This eventually led to Jay releasing his album American Gangster, full of 70s samples and tying the life of Frank Lucas together with his own. Additionally during production there were feuds over the film. They were low balled with budgets and repeatedly forced to change their filming location. Just days before filming longtime Denzel Washington collaborator and director Antoine Fuqua was fired because the studio didn't like his creative direction. This creative direction being that Fuqua wasn't willing to make bigger roles for white actors Ray Liotta and John C. Reilly. Fuqua also wanted to shoot scenes in Thailand but was was told that was beyond budget. He was forced to rewrite the script just weeks before production cutting out large chunks that were set in Vietnam and Thailand. Again forcing production to be stalled. In 2004 the movie was cancelled completely. In 2005 it was brought back to the table. This time the studio attempted to replace Denzel with Will Smith, because Denzel was being too difficult. Russell Crowe ended up being the person who convinced them to keep Denzel as he enjoyed working with him on Virtuosity. 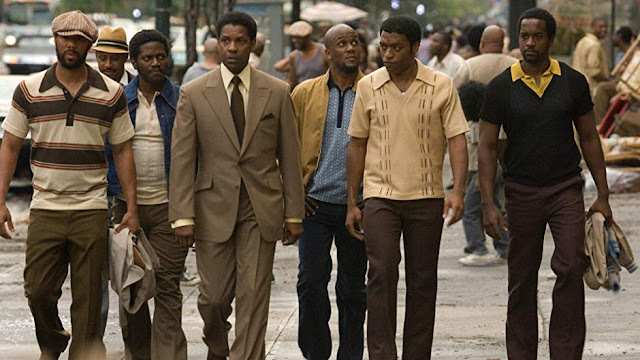 In my opinion, the thing that makes American Gangster great isn't the story we see on screen. That's a great story for sure. It's the story behind the scenes that is most amazing. Seeing the things black creatives had to go through just get the film off the ground, then seeing them still deliver amazing performances is what makes it great.